Gold is moving up and down between the ranges in H4 Chart. Gold tried to breakout the top level for more times, but it fails. Now, market starts to fall down again with sellers pressure. 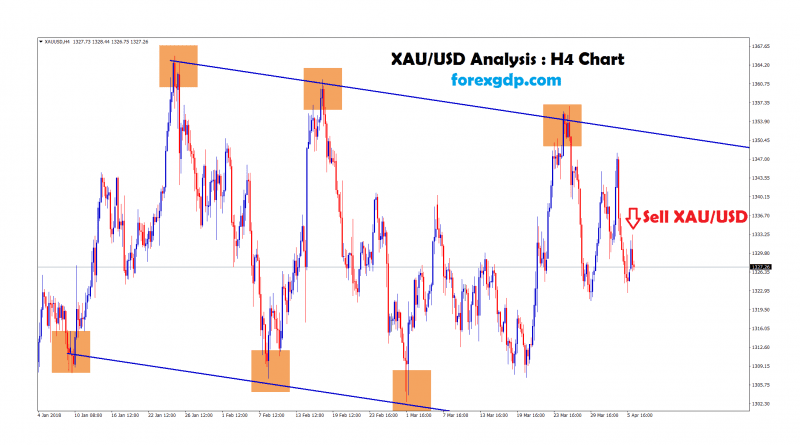 After the confirmation of downward movement, Gold Sell Signal was given to our members. GOLD reached our Profit Target Successfully.